The panda may be a cute and cuddly animal. However, if you look at it from the perspective of Search Engine Optimization, it may not be as cute anymore. 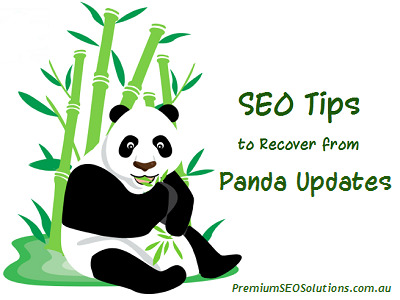 For SEO experts, Panda is an update that is designed to target spam content in websites. For about two years already that the Panda update is here and targeting websites, many owners of websites have seen how their revenues have changed and dropped drastically. Had they taken the necessary steps to ensure the quality of the content of their websites, they could have saved themselves from getting hit by the update. Meanwhile, those who haven’t been hit yet cannot be too complacent as Google is serious with the rolling of out the refreshes. Even if it is already a new year, no site can really be safe from the Panda update unless steps are taken. Google is very particular about giving only quality, fresh and original content to its users. Therefore, you, as the owner of the website and provider of the content, must make sure that you are not only duplicating content from other websites. The thing about this Panda update is that it is strong and it can even sink an entire website once it is found to have duplicate content. You have to take note that duplicate content can be seen in two forms. One of these is the outside-your-domain duplicate content which means that two websites are having the same text. Then, there is also the within-your-domain duplicate content where the duplicate content occurs within the same domain. To avoid this, you have to always have a unique title tag, meta description and content for each page of your site. Should you need to have a slogan which has to be repeated several times, do so by putting it on an image. However, the safest and most effective way to solve this issue of duplication according to experts in SEO is to just eliminate them once and for all. Low quality content doesn’t have a place in SEO Australia and in search engines. However, to say that something is of low quality is a subjective thing. Content’s quality may be low for others as it may be high for some others. To know if the quality of the content is low, check for the number of visits a page has, its bounce rates, and page views. Bounce rates are based on how quickly a user gets out of your page or site upon opening it as this means that the page does not provide the correct information needed by the user. If these are low, then the content of that page is also of low quality. Thin content is another form of low value content. It is just a little higher than not having original content at all and Google doesn’t like that. Thin content would appear mostly like thin directory-style pages wherein you only see the basic information of certain products like their address, city, state, zip code, and contact information. When you click on these sites, there is nothing else to see and there is also little or no content at all. To avoid this, you can thicken such sites by writing a helpful article that can serve as a guide to the product or services being featured. Make sure that these are not simply copied from other sites. You can also add photos and videos and also encourage the viewers to drop a comment or start a thread or discussion. This is obviously the mother of all solutions to getting ranked highly in search engines and avoiding the Panda updates. Again, quality content may be subjective. But to the average person, it can mean having substantial and true information and being easily understandable as well. To gauge its quality, you should know if people will like to share this content with others. More so, will people also consider this as authority information? If you think the answers are all yes, then post that content to your site. With this information, no time should be wasted for rebuilding the content of your website. Remember that Google is always on the lookout for low quality content and you can’t afford to take the risk of seeing your website sink just because of one mistake. Get the help of a credible SEO Australia Company like Premium SEO Solutions that provides ethical and result-oriented SEO Services for your website.